A small patch to make the terrific Evil Detective Outfit from GrinnginUrchen to blend in with the superb Horizon Overhaul. I do not own any of the content in this patch and so I have no permission to give or not give. If using this patch to make a better patch or whatever, don't forget to check permissions by original creators and credit them. If the authors of the patched mods want me to take this file down I will do that as soon as I can. zawinul for finishing Bethesdas work on Fallout 4 with the "Horizon" mod. RickTheNexus for showing me how to do this and also for his amazing amount of patches to Horizon. A small patch to make the terrific Evil Detective Outfit from GrinnginUrchen to blend in with the superb Horizon Overhaul. Download and install the original mod and then let this one overwrite it. * Changed the crafting costs and stats some, Armorer Rank 2 is still required and there is no 22 Damage Resistance but it still gives a nice boost to Energy and Poison Resistance. * Moved the crafting to the Horizon workbench "Tech Lab"
* Added the linings etc. 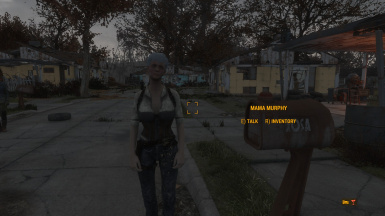 Keep in mind, patching armors and dabbling in fo4edit is not something I am level 100 in yet, so you might encounter something weird or a bug or whatever, if you do please let me know and I will try to correct it to the best of my abilities. This is for the vanilla body version, but I don't know if it can work with the other versions. Version 1.1 just added the sorting tag that was missing in crafting and such in version 1. If you are looking for more armor patches and great addons for Horizon, check out RickTheNexus page, and as usual credit to RickTheNexus for helping a noob conquer fo4edit.